The Home Office’s annual statistics show a 6% drop in animal experiments in the UK – but the office has changed the way it collects these figures. An EU directive has been adopted that means tests are counted when they conclude, instead of when they begin, making comparisons difficult. But Home Office staff are “confident” that animal use has, indeed, fallen. As usual, 50% of the 3.87 million total “procedures” were GM animals, which were created but not used in tests. That overall figure compares to 4.12 million in 2013. But the Home Office’s chief statistician David Blunt emphasised that there was a “discontinuity” between those two figures. “This means that any comparisons made between 2014 and earlier should be made with caution,” Mr Blunt told journalists at a briefing on Thursday. Lord Bates, a Home Office minister, said he was “encouraged” to see the number of procedures apparently falling. “Today’s figures indicate the science community continues to respond to the government’s firm commitment to adopting measures to replace, reduce and refine animal use,” he declared in a written statement. 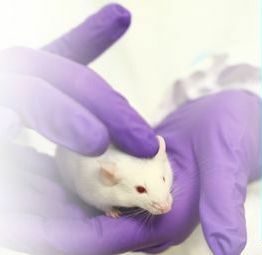 But the National Anti-Vivisection Society (NAVS) condemned the number of “severe” animal experiments taking place. The Home Office sees its collection of “severity” data as a big step forward in terms of transparency. This is the first set of statistics to categorise animal usage into “sub-threshold” (28% in 2014), “non-recovery” (3%), “mild” (49%), “moderate” (14%) and “severe” (5%). “We wanted to see how best we could inform the public of what goes on, so that there’s a clear understanding of what’s involved in the process of experimentation,” said Prof Dominic Wells, from the Royal Veterinary College, who was part of the working group which drew up this classification. Animal rights group Peta was unconvinced, describing the severity system as “absurd” and accusing experimenters and regulators of “a complete lack of compassion”. Also on Thursday, the Home Office confirmed that a new ban on animal testing of household products, announced in March, will come into effect on 1 November. This policy forbids any testing of “finished” household products – a practice that has already largely ended in the UK – and places restrictions on testing of individual ingredients. Such tests, in the latest 2014 statistics, affected 138 animals. Peta said the ban was “a baby step in the right direction”.